Own the award-winning Feng Shui book that is practical and easy to understand. The Feng Shui Quick Guide for Home and Office includes easy-to-follow basics plus tips and secrets to make the practical magic of Feng Shui work for you. Sprinkled among the tips are success stories from real people who followed them with big results. This book will help you learn how to attract wealth, achieve harmony, improve relationships, advance your career, and clear clutter. Highlights include a month-by-month guide to clearing your clutter and a day-by-day calendar of 366 fast fix Feng Shui tips. Also includes links to download free bonus articles. 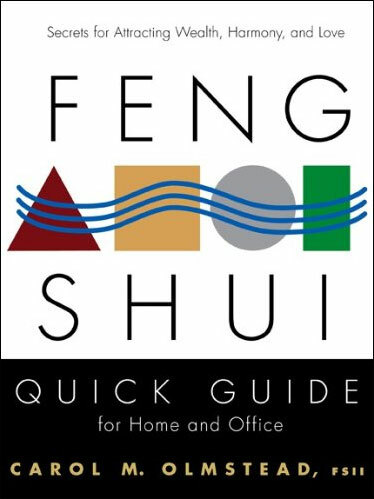 The Feng Shui Quick Guide For Home and Office is the perfect gift for everyone on your list -- clients, colleagues, family, friends -- and a great way for real estate agents to say "thank you" to sellers and welcome buyers to their new home. If you would like Carol to personally inscribe your books, please include the names in the "Special Instructions" area when you place your order. Shipping to the US only at this time. For international orders, please use Amazon or iTunes. Also available on Kindle and iTunes. I must have at least 10-12 books on Feng Shui but this one has been the first to explain Feng Shui in easy-to-understand terms. I'll use it as a reference guide as I clear my space and do some long-needed renovations and updates. I wish I had read this book years ago. This book explains why day-to-day clutter, worn-out clothes, and dying plants can interfere with your ability to attract wealth and creativity, then gives a step-by-step approach to change things. The real life stories of the author's clients give me the incentive to move ahead with my own day-by-day changes. This book is a welcome addition to my library, one that will be well used. The book explains the concepts of Feng Shui clearly and in plain English but without dumbing it down. It is completely accessible for someone who doesn't know a lot about Feng Shui. I bought 10 books to give to my clients at closing. I figure if I follow the advice in the book, I will certainly sell at least that many houses.